This is a simple way to save big bucks. For example, if you buy a muffin every day of the week for $1.50, you spend $7.50 just for muffins for a week. If you were to make a batch of muffins, they would cost about 1/4 the cost of that. Make your own over a year, you save $292.50. For those of you who drink coffee, making your own coffee will save you a lot of money. For those who drink soda, buying your own soda on sale at the grocery store and taking it with you, costs much less than using a vending machine. For those who go to sporting events or concerts, eat before you go. 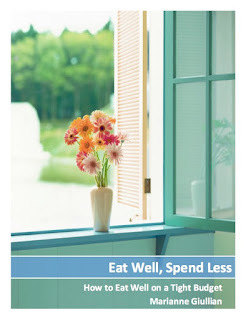 Instead of buying overpriced snacks and hot dogs that aren't good for you, save the money. Another idea is to save a little bit of dinner each night for lunches the next day or make your own sandwiches, etc. For the little effort this takes, it is a great way to save money.